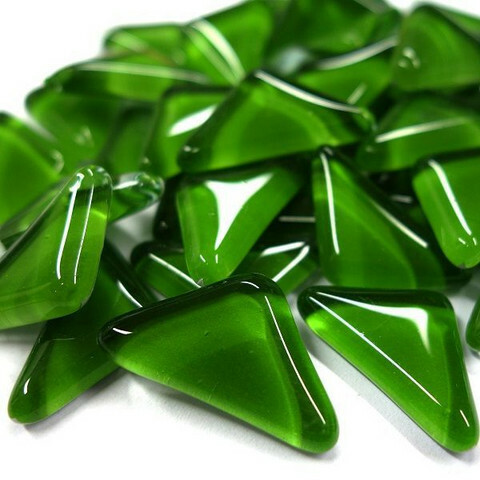 Soft glass mosaic tiles are triangular shape with rounded edges, making it easy to create the most amazing mosaic works. The pieces are well matched with other mosaic pieces. The color comes from the paint on the bottom of the mosaic piece.